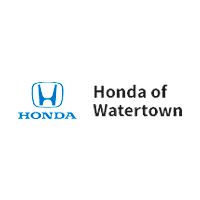 Save more on car service and repair with the service specials and coupons available at Honda of Watertown. Whether you’re looking for a tire rotation, an oil change coupon, or simply bringing your car in for preventative maintenance check, you can use our set of rotating car service coupons to get the job done right the first time, for the right price. No matter what kind of car you drive, our reliable mechanics in Watertown can service your car. Browse our auto service specials below before visiting our Honda dealership service center in Watertown when it’s time to schedule car service. Environmental fee & sales tax extra. Up to 5 quarts of oil. Must present coupon when order is written. Cannot be combined with any other offers or previous purchases. Balancing extra. Valid only at Honda of Watertown. Honda and Acura vehicles only. Not valid on Acura RDX. When you purchase a set of four (4) select passenger tires they may be eligible to receive up to a $70 General Tire Visa Prepaid Card or up to a $100 Goodyear Mastercard Prepaid Card by mail-in rebate. Not to be combined with any other coupon or offer. Environmental fee & sales tax extra. Must be presented at time of write-up. Prior sales excluded. Plus tax and hazardous waste disposal fee (if applicable.). Honda models only. See your service advisor for details. Includes brake pads and resurfacing rotors. Includes caliper inspection, resurfacing of discs, inspection of master cylinder and fluid check. Price per axle and front brakes or rear brakes. Coupon not valid with any other offer. Must present coupon at time of purchase. Limit one coupon per person. Coupon does not apply to prior purchases. Plus tax and hazardous waste fee if applicable. Coupon not valid with any other offer. Must present coupon at time of purchase. Limit one coupon per person. Coupon does not apply to prior purchases. Other Restrictions may apply. Void where prohibited. Plus tax and hazardous waste fee if applicable. Includes installation. Coupon not valid with any other offer. Must present coupon at time of purchase. Limit one coupon per person. Coupon does not apply to prior purchases. Other Restrictions may apply. Void where prohibited. Plus tax and hazardous waste fee if applicable. Some makes and models priced higher. Must present coupon at time of purchase. Limit one coupon per person. Coupon does not apply to prior purchases. Cannot combine with any other offer or promotion. Plus hazardous waste removal (if necessary). Plus tax. Other restrictions may apply, please see dealer for details. Don’t get caught with a dead battery! We will perform a free battery test and if replacement is needed, we include a free terminal corrosion protection package (a $29.95 value). 15% Off Genuine Honda Wiper Blades or Inserts with any oil change purchase. See your Service Advisor for details. Coupon not valid with any other offer. Must present coupon at time of purchase. Limit one coupon per person. Coupon does not apply to prior purchases. Plus tax and hazardous waste fee, if applicable.